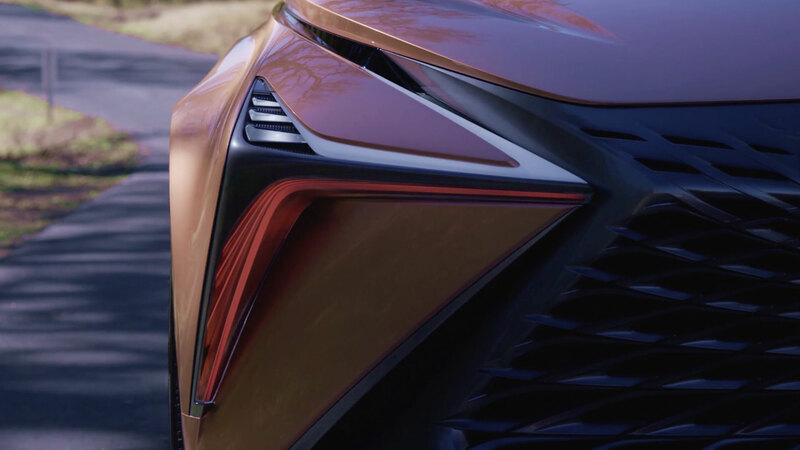 A split spoiler grabs your eye at the rear of the Lexus LF-1 roof, but there are interesting curves and details along every inch of the rear fascia. The beautifully sculpted openings at each corner might look like exhaust pipes but they’re actually vents for the air coming past the rear wheels. The shoulders above those wheels provide sturdy mounts for the sculptural taillights that extend well past the metalwork. Above the lights is the huge expanse of glass that extends over the rear seats to offer an uninterrupted view of the scenery thanks to the split spoiler on each side. Luxurious comfort for every passenger was CALTY’s goal for the cabin. 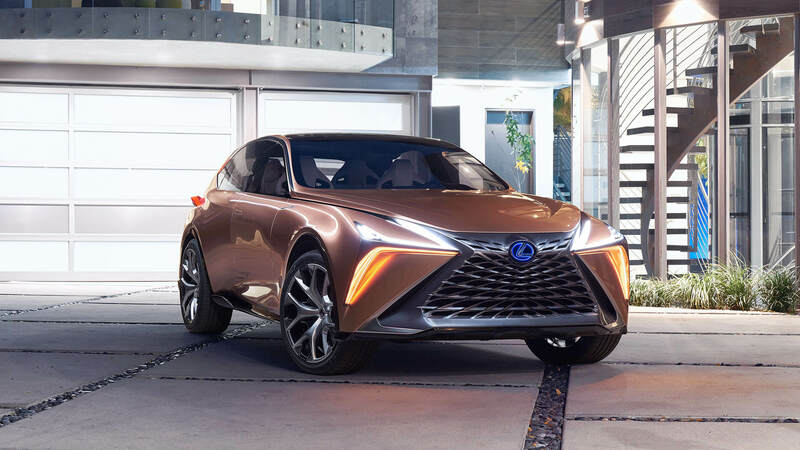 The LF-1 adheres to the Japanese tradition of omotenashi, or hospitality, welcoming all who enter with equal enthusiasm. The cockpit is designed to allow the driver to concentrate on the task at hand by removing distracting analog knobs and buttons in favor of motion-activated controls and a minimalist display directly ahead.